As we approach the middle of Bordeaux Vintage 2018 with the longest days and light, we thought it would be a good idea to update our fans and readers with the news about the vintage so far. And what better way to do that, than to invite Paradise Rescued Founder Director David Stannard to tell us what’s happening. Paradise Rescued Founder Director CEO David Stannard. Q: Thank you yet again for taking the time to sit down and share from your personal passion for Bordeaux Wine. DS: A pleasure as always. 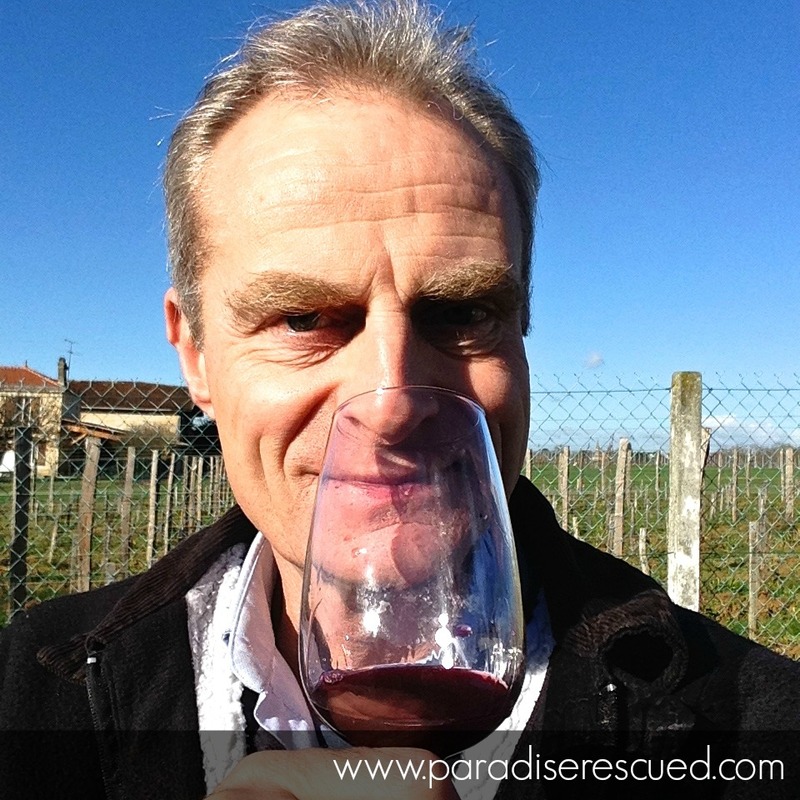 I love sharing what we do at Paradise Rescued and what’s happening in the huge vineyard that is Bordeaux wine. And with passion – that’s a “must”! Q: Can we start by getting a vineyard update? We are reading stories of massive hail storms and lots of rain. How is Bordeaux vintage 2018 going? DS: 2018 is a very challenging year. From December onwards, it has been very wet in Bordeaux. Many of the standard vineyard soil preparation activities carried out by machinery had to be postponed or cancelled as the soil was too wet or soft to allow a heavy vehicle into the vineyard. The start to the growing season was very late and in notable contrast to 2017. With so much humidity and frequent continued rain periods, our vigneronne Pascale has had to be very attentive to the health of the vines and the timing of our micro-treatments. At the end of April, there was a wave of serious storms that traversed Bordeaux. One particular storm cell dropped hail across principally the northern sector of the Bordeaux vineyard, destroying many vineyards as it passed. Thankfully, we were not impacted, although our thoughts and best wishes are with those properties effected. The resulting images were horrible to see with in some cases, all the foliage on every vine was erased. Despite many advances in viticulture and wine making, Mother Nature is always in control. About four in every ten vintages are what I might call straightforward and the climate cooperates. Almost all vignerons and winemakers succeed. In other six, they are what I describe as vigneron’s vintages. The vineyard has to be managed with a lot of detail in order to achieve a good harvest and wine vintage. It is in those years that the organic hands-on approach can excel. I call them the ‘years of the vigneron”. Q: Is the climate changing, these events seem to be more regular in Bordeaux now? DS: Ok, the big climate change question! This is a very passionate area of debate. I personally don’t think that there needs to be any further debate about whether climate change is real or not. It’s happening all around us and everyone in any area of business – particularly agriculture – needs to have a strategy to manage the current changes and those still to come. That said, there have always been cycles and variations in the Bordeaux climate. We all laugh about years with a 0 or 5 at the end of the vintage year? For whatever reason, they seem to be good. It’s a cycle. The first number of years of this century were extremely warm during the summer months. This current decade is warmer overall with greater extremes. Last year witnessed the tragic late April frost event which did so much damage to the vintage. But it has happened several years back – 1991 comes to mind – with equally devastating results. With a warmer future in mind, we see it as a very positive advantage to have Cabernet Franc as one of one of our two varietals. With a typically longer growing season compared to Merlot, it will position us well for the future. Q: David, in your second book “It’s Not About the Dirt”, you devote your final chapter to explaining the book’s title and adding an additional dimension to the definition of ‘Terroir’. Why did you write that chapter and was there a bigger message? 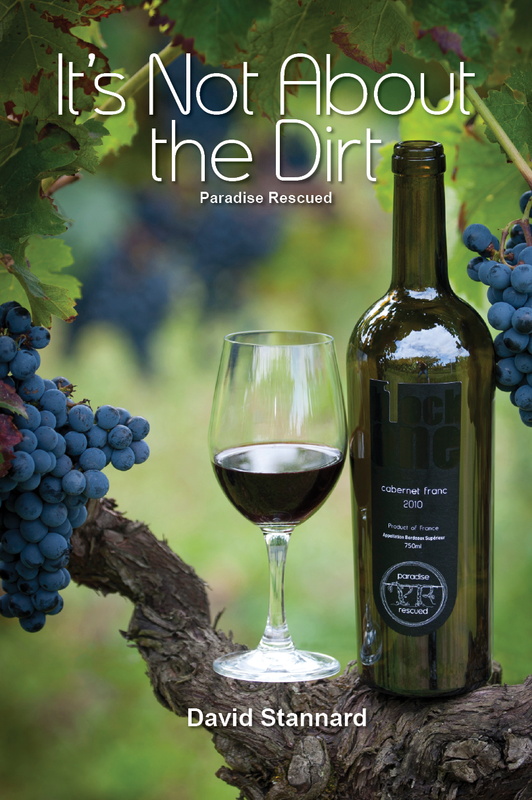 DS: “It’s Not About the Dirt” is much more of a business book than my first book “From Cabbage Patch to Cabernet Franc”. 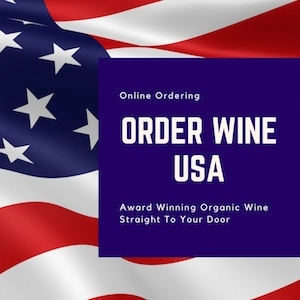 It narrates much of our progress as a start-up business and my observations about the paradigms of Bordeaux wine. 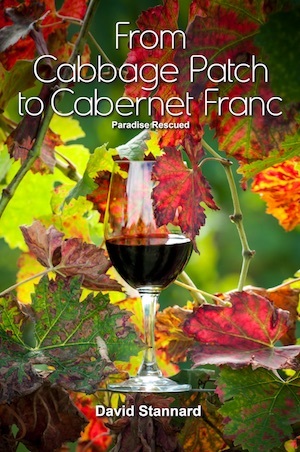 Prior to starting Paradise Rescued, I was always fascinated to work out why one producer was able to make great wine alongside another who seemingly couldn’t. And whenever one asked why, the standard French response was “It’s the terroir Monsieur, the terroir” implying that the magic trilogy of geology, geography and climate was a suitable explanation for why one producer could charge 50 euros per bottle and his neighbour only 5. I was never convinced. This perceived ‘terroir effect’ is particularly evident in and around areas such as St. Emilion. 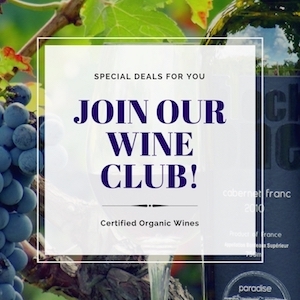 At Paradise Rescued, we set out to replicate (or exceed through our organic management programme) those viticultural practices undertaken by the top châteaux properties. What we discovered is that there is a fourth dimension to terroir. It’s called people. Over time, great properties have fine-tuned and developed their viticultural skills. Great wine is first made in the vineyard. And although it does take time to develop the soil sufficiently to achieve a great result, persistent continual work with skilled people demonstrates clearly what can be achieved. Of course there are differences between Cardan and St. Emilion. On that beautiful hill, they have doing great work for tens if not hundreds of years. We are only just beginning. But catching up fast! 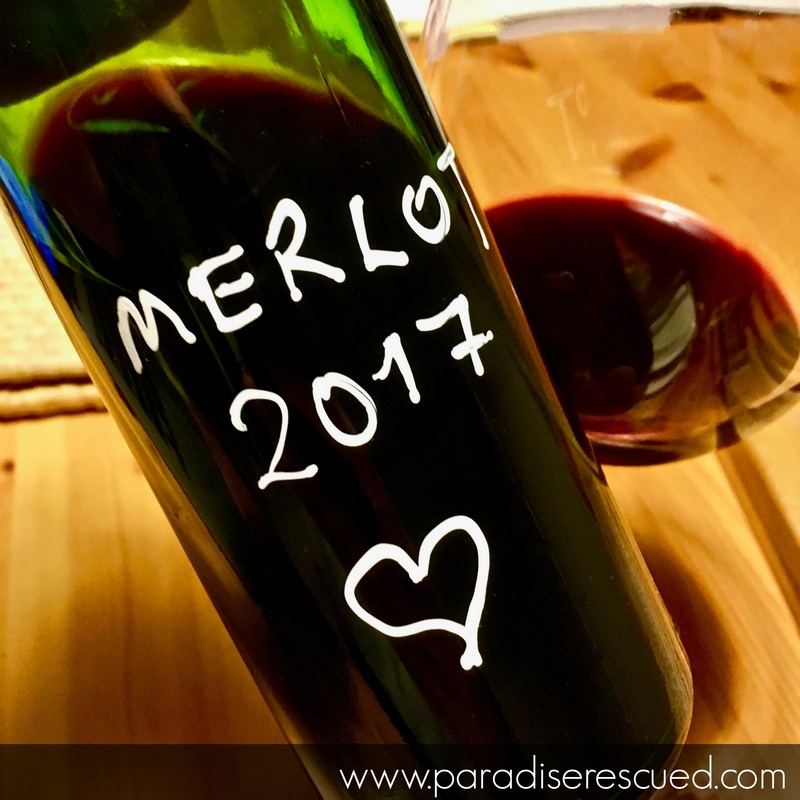 Paradise Rescued will be adding Merlot to its brand product range this year. Q: What’s next on the non-stop list of Paradise Rescued activities in Cardan, Bordeaux? DS: (Laughing) Continual improvement and big goals are, in my mind, critical to delivering achievement and impressive sustainable results. First our Mission and Vision are as strong as ever. These are the base platform of why we do what we do and where we are going. 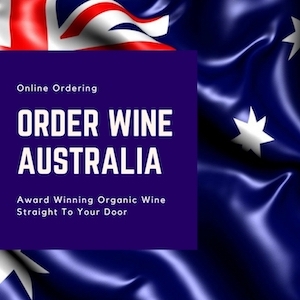 Our primary business goal for this year is to open the winery doors for sales in Cardan followed by distribution to France and probably Europe. With that will also come the launch of our Merlot CabFranc blend wine. It now has a brand name, brand design and we are about to start printing labels as we talk. More news will follow shortly. Q: Thank you again David for your open and passionate answers. DS: It’s a pleasure, let’s do it again soon. Thank you. David Stannard is the Founder Director CEO of Paradise Rescued. 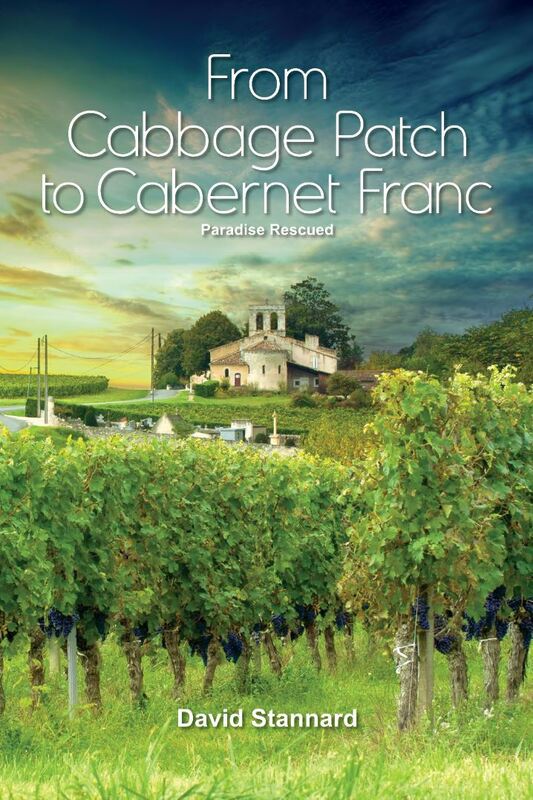 He is the author of three books including “From Cabbage Patch to Cabernet Franc”and “It’s Not About the Dirt”. Paradise Rescued is the 2016 International Business Award Silver Stevie winner for Small Budget Marketing Campaign.